Back in March 2014, I went to Cebu City with my eldest daughter and two other friends from our blogging community. We went there with the intention to attend a boot camp on virtual assistance. But since we are already in Cebu City – the Queen City of the South – we decided to spend our time visiting the tourist attractions within with our spare two days (thanks to the cancelled trip back home). Anyway, after our boot camp in Mandaue City, we went straight back to Cebu City to book a place to stay. Before coming to Cebu City, we were decided to stay at Cebu Century Hotel but since some of the participants advised us not to check in there during the night, we were reluctant to go ahead with our plan and decided to go to Travebee Capitol Inn. Unfortunately, the room we wanted were occupied so we decided to look for another place to stay. After walking and checking out the hotels and pension inns nearby, we landed in Jasmine Pension House. 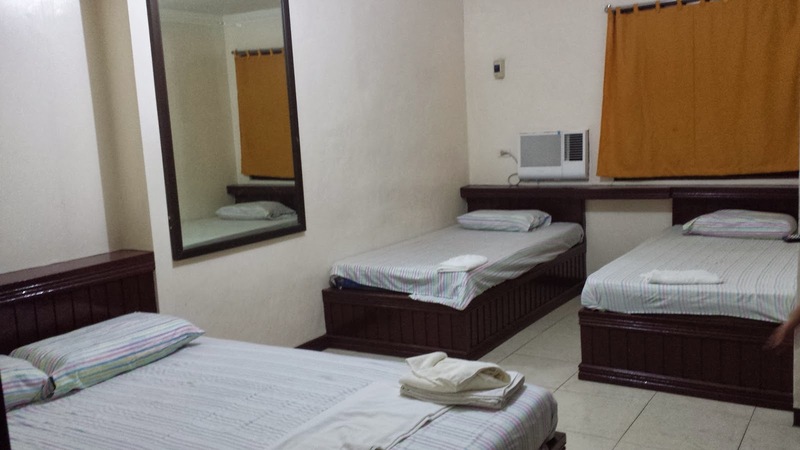 Jasmine Pension House is located at Gil Garcia Street corner Maria Cristina Street, Cebu City, Philippines and the rates are very affordable. We got ourselves a Deluxe Room with two single beds and one double bed. Though it has a lot of beds inside the room, we paid for two extra beds since the room was priced at 810 pesos good for two people only with free coffee and bread in the morning. We paid 225 pesos for each extra person. We totaled 1260 pesos a night. Since we are four in total, I paid 1260 for two nights including my daughter – a good deal right! The room was clean. It was a nice place to rest. It doesn’t have a hot and cold shower but the water was perfect. 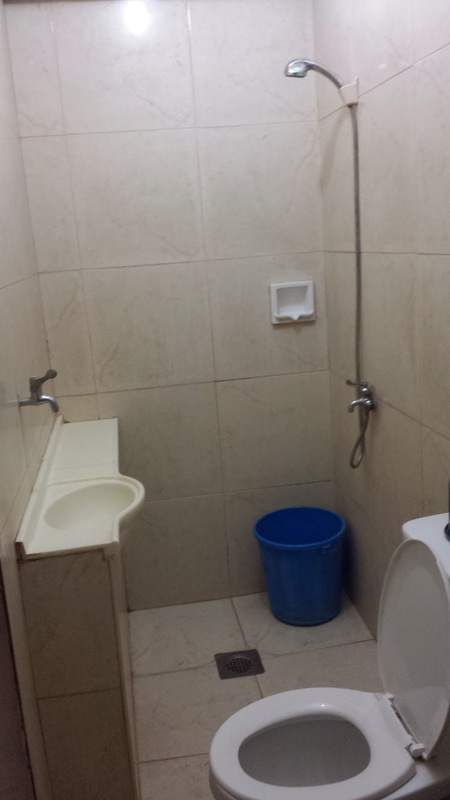 The bath room was kinda small though. 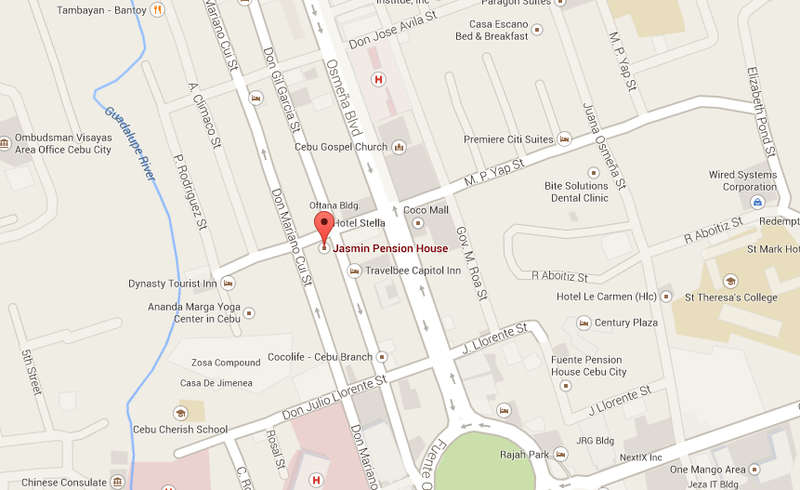 The location of Jasmine Pension House is conveniently located near food shops and the mall. You can just walk around a bit to reach Larsians sa Fuente, Robinson’s Cybergate Cebu and among others. So if you need an affordable place to stay in Cebu City together with friends or your family, Jasmine Pension House would be a great choice for you! wow,, thanks for the tips, we usually stays cebu every time we visit philippines. thanks for sharing this mommy! The price is so reasonable and I won't mind getting this kind of room, though I never been in Cebu,yet. Hopefully I can visit and explore Philippines in the right time. Jasmine has been around for quite some time already but new pension houses has better amenities already.